THE GUNTHER GANG: Provo Guide: Station 22 Cafe. 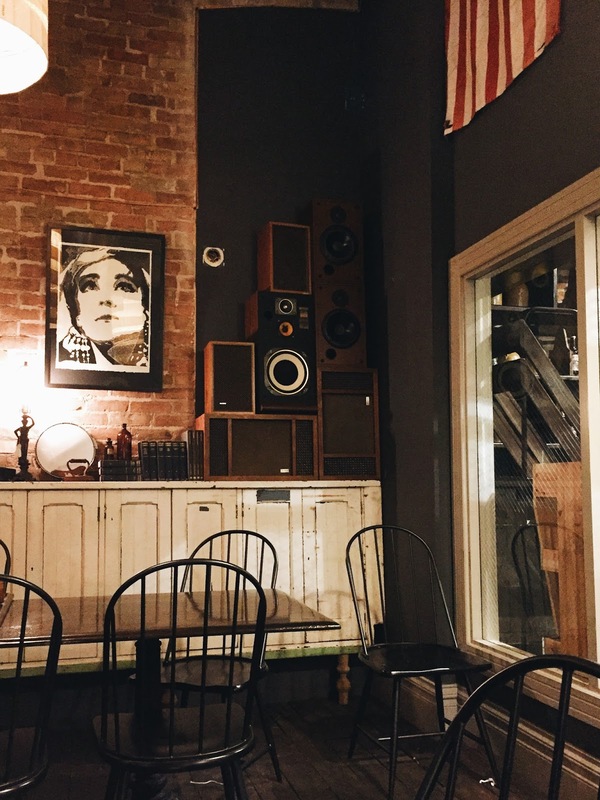 Provo Guide: Station 22 Cafe. In case you were wondering, Provo is a pretty cool little city with lots of cool, obscure things to see, eat, and do. We went to several different places tonight that had me thinking, "Hmmm... more people should know about this place." So, we've taken it upon ourselves to start documenting our little provo adventures better so we can start making a little "guide" (so to speak) of this neat area we live in. Station 22 Cafe is located on Provo Center Street. That street, in my opinion, is one of the coolest streets in Provo because a majority of the buildings there are older. My parents actually lived in an apartment above one of the cute shops there when they first got married (also, supposedly their old apartment is part of the Provo Ghost Tours????). From here on out we're going to review the food places we visit in three different categories: first impression, food, overall experience. I'm definitely one of those people who likes moody and unique dining experiences. 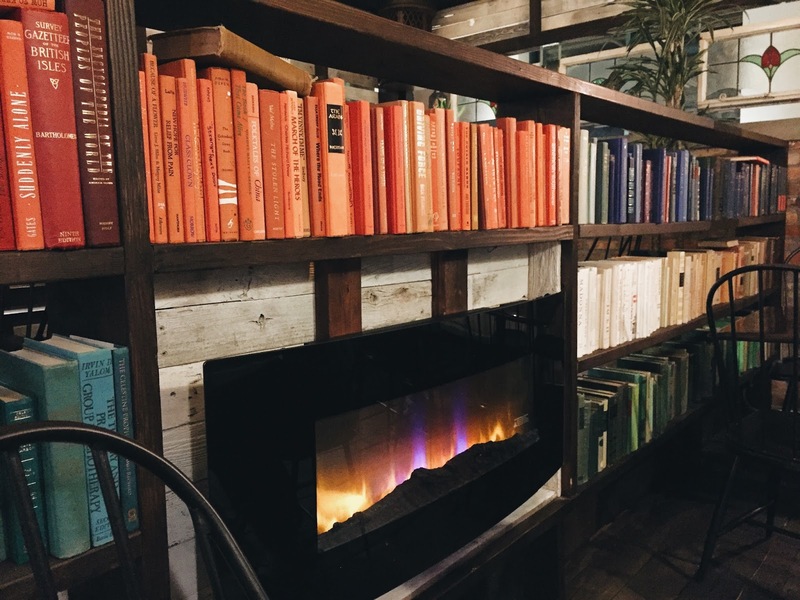 I loved the overall theme of this restaurant-- it gave off a total "hipster" vibe (which basically just meant that the decor was unpredictable and they used old children's books with our bill and a little slot for our card rather than the typical little black folders that restaurants usually give). I also just liked that it had a little "theme" going that it stuck to throughout the restaurant because it kept me intrigued and excited to be there. I ordered mac'n cheese and Tay ordered the chicken and waffles. I was DYING over how good the food was. 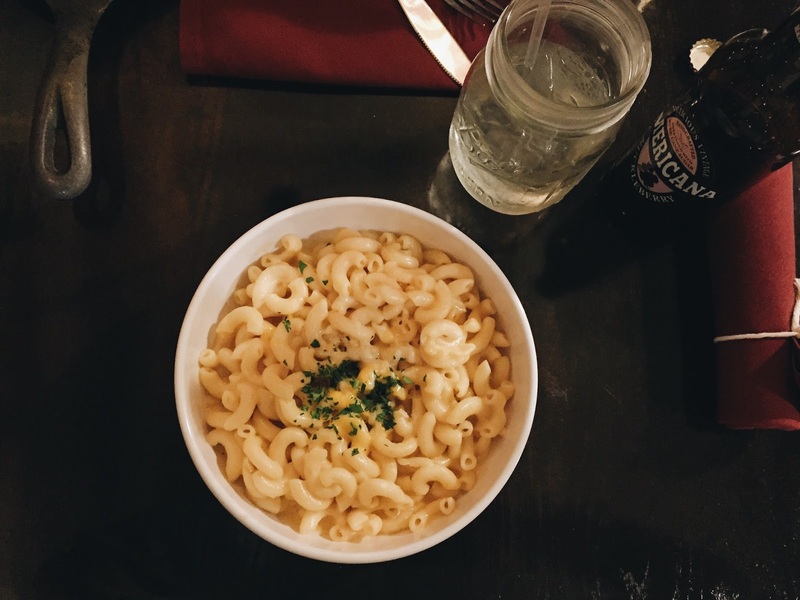 I've never had better mac'n cheese in my life. The chicken and waffles were also fantastic. 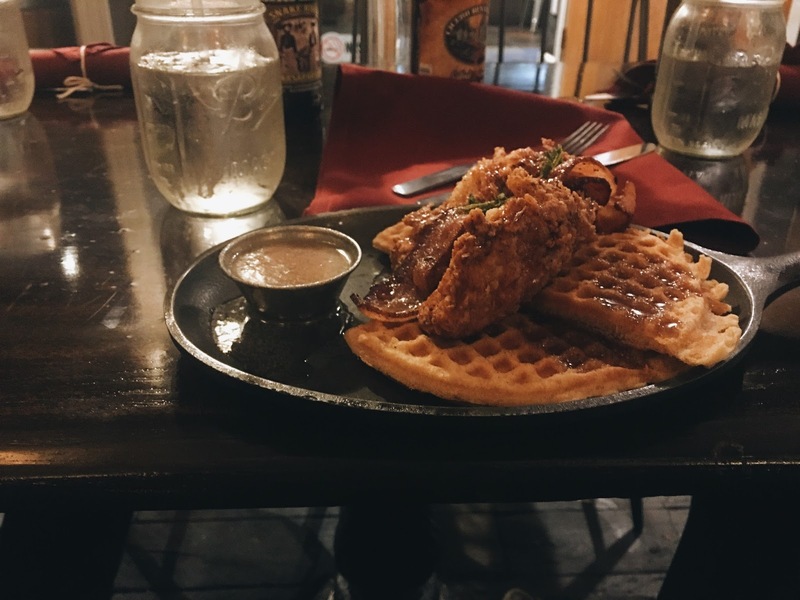 If you've never tried chicken and waffles before, I'd recommend visiting Station 22 Cafe for your first time. They also had an incredible "soda wall" in the back of their restaurant with countless selections of classic and vintage sodas to choose from. 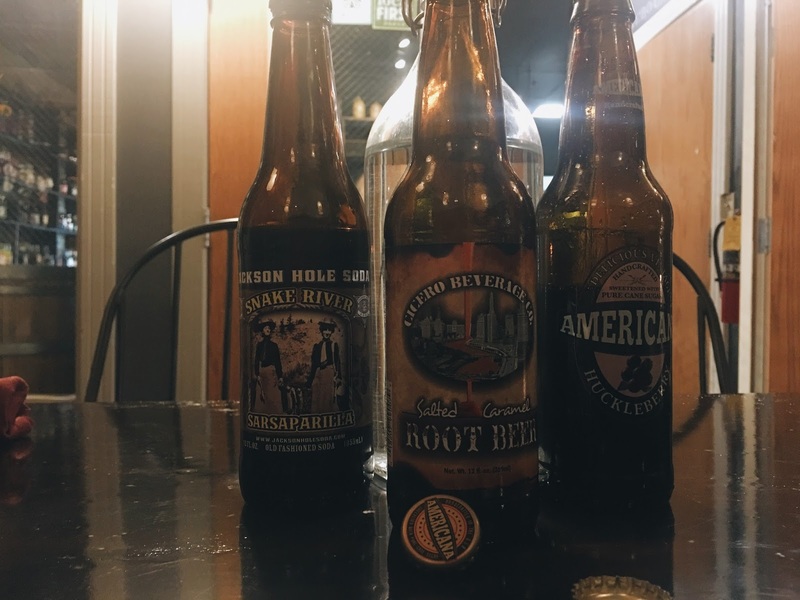 I got the Americana Huckleberry (I'm a fruity person) and Taylor got the Salted Caramel Root beer. Long story short, now I want to try every soda they offer. We visited tonight with our friend, Kyle, and all three of us were really impressed with our experience. It did take a while for us to get a table (so we just checked in and then wandered Center Street until we got a text message from the restaurant that our table was ready). I've heard that it is pretty normally to have a long wait for a table, but I just assume it's because they have really great food and everyone wants to eat there. We were really impressed with the food and we really enjoyed our time there. If you ever get a chance to visit, you should take it! I've been to Station 22 before! It's been a couple of years but I quite liked the chicken and waffles. Yeah, I went once before my mission but that's now like three and a half years (but probably more) ago. So I told Taylor that I thought it was a really cool place but hadn't been there in a long time so we went together-- still just as cool as I remembered and the food is just as good! You've got to go again!